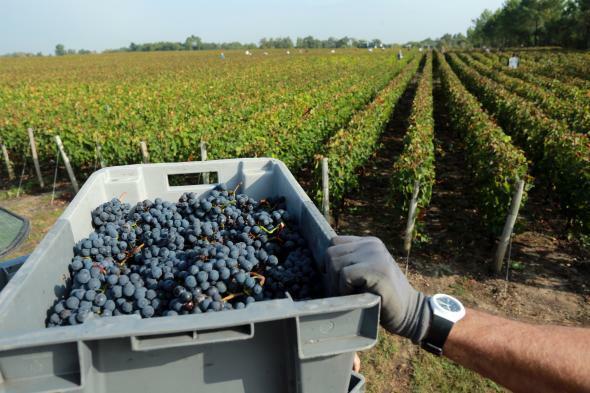 Wine-making and vineyards: What qualities make a good vineyard? What Qualities Make a Good Vineyard? A bucket of freshly cut grapes during at Château Fieuzal in the Pessac-Leognan wine-producing area near Bordeaux, France, in 2014. I think this question is a bit leading, and I’ll explain why, but first I’ll take the bait. Drainage: how, where, and how quickly water goes through the vineyard. This is an assessment of the kind of soil, slope, elevation, and surrounding topography. Where is it? On a hill? Next to a creek? At elevation? Dirt: What kind? What color? How wet is it? Water: Where is the water table? What’s the typical irrigation plan? Is it a particularly moist area? Sun path. It’s important to get an idea of how exposed the vines are to sun and in which orientation. This is also related to possible moisture or wind issues, if any. Yields. Tonnage per acre is perhaps the most important piece of information, but it needs to be assessed individually by vineyard, varietal, and region. There is no hard-and-fast rule, such as “good fruit is only 2.5 tons/acre or less.” It’s almost guaranteed that fruit at that yield will be pretty good, but there are vineyards where that might be an overcrop, and additionally, undercropping a vineyard can be just as bad, leading to short hang-times, hyperquick ripening, and lack of berry maturity at typically ripe sugar levels (all of which can lead to similar wine quality issues as overcropping). Vine maturity. Age of vines oftentimes directly correlates to quality of fruit. That said, young vines can still produce amazing fruit. Weather: How did the vineyard react to the weather issues of recent years? Appearance is very important. A vineyard’s appearance tells you a lot about its manager. Typical event dates, such as budbreak, bloom, and harvest. There are countless other things to look for that might pop up, depending on how other factors contribute. This might include frost protection, experience of the picking crew, distance from crush facility, typical time of day of harvest, and more. To circle back to your actual question, I would like to slightly dodge the answer by saying that these are the essential qualities you must assess, not necessarily look for. In other words, I would probably tell you if pressed that the most important thing about a vineyard is the where is it part. But ultimately, any one of the factors (or maybe two or three) we assess could be as unfavorable as possible, and the vineyard can still be magnificent. One of my favorite vineyards to work with is on a flat, directly above a relatively shallow water table, in an area with less than favorable moisture issues and not very much compensating wind. In other words, it’s not the best vineyard site in the world, and as much as that is an issue, the management of that vineyard is damn near immaculate. So go figure. The point is this: While there are ample qualities one must assess about a vineyard, they aren’t all must-haves. The primary task of looking at a vineyard is to try to develop a picture of what the resulting fruit and wine-making will be like and to compare that with your goals. How the myriad puzzle pieces fit together is not a fixed rubric with a list of things we check off. Winemaking: What are the essential qualities one must look for in a vineyard? Wine: How can one become pretentious about red wine? Wine: What is the best corkscrew, and why?